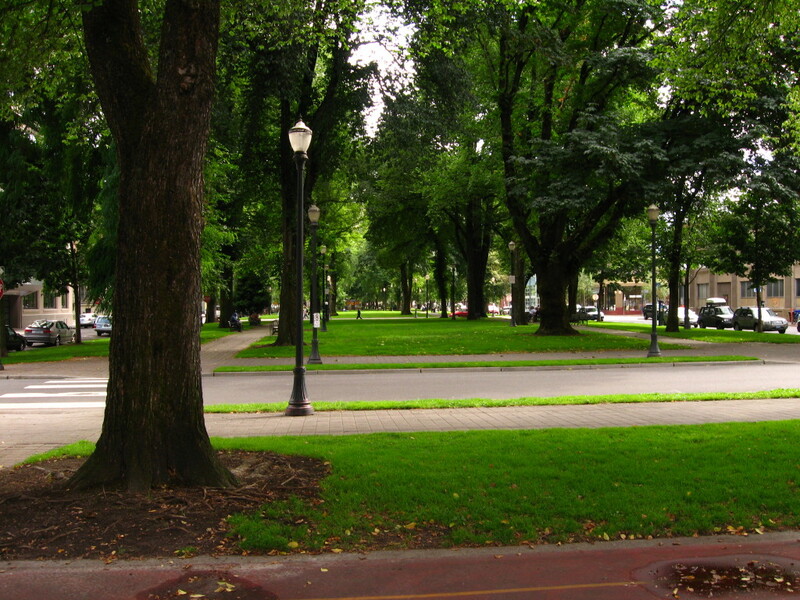 The building faces the Parisian-like North Park Blocks with its elegant lamp posts and majestic elm trees. North Park Blocks has something for everyone; basketball and bocce ball courts, a playground and sculptures – – including an 11-foot tall bronze elephant, a Wegman dog bowl fountain and the new Lee Kelly sculpture. The park is home to the annual “Art in the Pearl” event. The historic DeSoto Building with its beautiful rooftop terrace, on the park perimeter, houses trendy art galleries. Our next door neighbor in the Custom House is WeWork, a shared workspace in a thriving creative community surrounded by galleries and restaurants. Right along the park you’ll find great food at Park Kitchen, craft beers at The Big Legrowlski and cocktails at Sante. Just a few steps down Everett is World Foods – with a chef-run deli, ultra-curated beer and wine selection, and incredible bounty of local and imported goods. The Pacific Northwest College of Art (PNCA) is in the midst of transforming the North Park Blocks. “PNCA’s vision for a campus centered on the North Park Blocks aligns with Portland’s emerging creative services economy. John Jay, executive creative director for Wieden+Kennedy, describes the project’s importance: “Our collective future rests in our ability to create, attract, maintain, and cultivate the business of ideas and innovation. PNCA’s Arlene and Harold Schnitzer Center for Art and Design will be the intersection of this city’s intellectual and artistic dialogue.” Businesses, organizations, student housing and schools are being introduced in the North Park Blocks corridor as the center of this growing art district.